Why Are Dental Implants The First Choice to Restore Missing or Damaged Teeth? Leaving empty spaces in your mouth after losing one or more teeth can lead to additional health issues, such as the loss and deterioration of some of your jawbone. When it is not being used to support a natural tooth, the jawbone deteriorates, losing its strength and firmness. Dental implants are the only dental restoration option that preserves and stimulates natural bone, actually helping to stimulate bone growth and prevent bone loss. 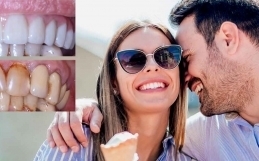 Placing a tooth-supported bridge requires grinding away the teeth on one or both sides of the missing tooth or teeth – thereby damaging healthy teeth to restore those that are missing. The modified healthy teeth are attached to, and support, the bridge. Dental implants go in the jawbone, in the spot where your missing tooth root was, without impacting healthy teeth. They also help prevent healthy, adjacent teeth from shifting as they would if an empty space were left for an extended period of time. Dental implant treatment has a track record of reliable, long-term successful outcomes and is often considered “more predictable” than other treatments to repair or replace missing teeth, including bridgework, removable appliances and re-treatment of failing root canal (endodontic) therapy. Dental implant procedures, including the Four Ever SmileTM system, are Pure Dentals particular area of expertise. Dr. Jeffrey Fox and Dr. Keith Vibert are members of the International Congress of Oral Implantolologists, and have studied extensively with the most renowned dental implantologists in the world. Dr. Jeffrey Fox and Dr. Keith Vibert each have placed in excess of 15,000 implants, placing an average of 4,000-5,000 implants yearly. Dr. Fox recently became a fellow in the International Academy of Dental Implantology, an organization that reviews cases submitted by Dr. Fox over the years as well as requires passing a rigorous oral and written exam. 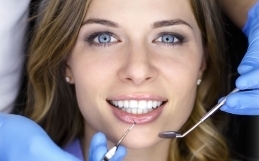 At Pure Dental, it doesn’t have to cost a fortune to have a million dollar smile. Call 631-929-5855 for a complimentary consultation including exam and 3D CAT scan. Easy financing available. 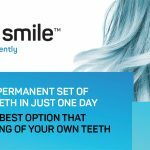 Four Ever Smile Permanent Tooth Replacement System: NOW available at Pure Dental!! !